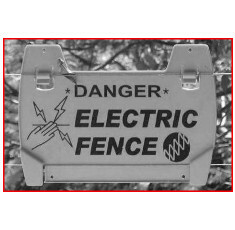 Electric Fences is one of the best ways to keep trespassers out of your property. Not only does it give the perpetrators a good shock, but the siren also alerts you that someone is trying to enter your property. We only provide quality when it comes to the installation of your electric fence. An Electric fence serves many purposes. We can connect your electric fence to your armed response company, when the siren alarms your armed response is alerted as well. Epic Security can also connect your flood lights to your electric fence. It certainly is very intimidating when you get a shock, a loud siren alarms, the armed response is on its way and the area is so well lit that you can run but can't hide. Contact us today for a free quotation, or if you already know what you need click here to have a quotation emailed to you.